Pretty much everyone not from the city owns a horse in Kyrgyzstan. They say that kids can ride before they can walk. 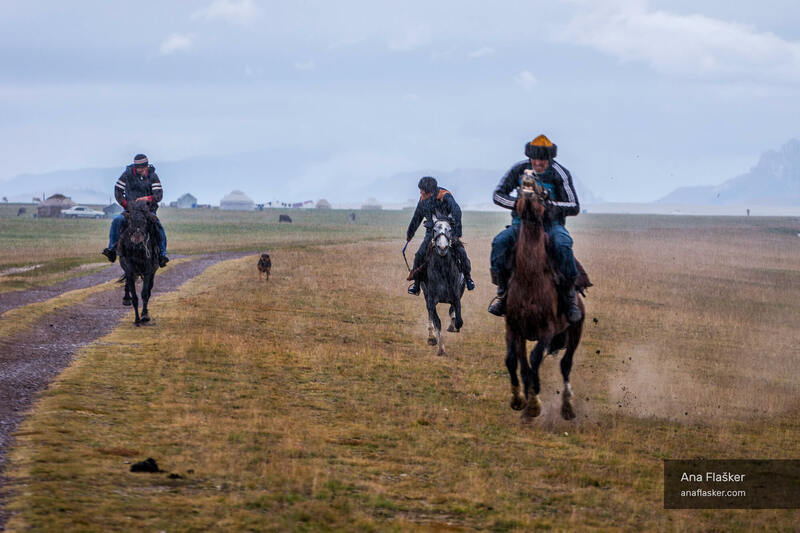 This group was galloping in the storm and dog from the nearby yurts was trying to catch up.